Steinway open in Paris—142 years late? and in a Copycat Building! Home » News Story » Company News » Steinway in Paris—142 Years Late? in a Copycat Building! May 31, 2017 June 29, 2017 No Comments on Steinway in Paris—142 Years Late? in a Copycat Building! In 1866 Steinway & Sons opened the first Steinway Hall on 14th Street, New York. A “Steinway Hall” was the original Apple Store. It was a building housing showrooms, sales departments, concert halls, and technical workshops for Steinway & Sons. The original New York Hall had a main auditorium capable of seating over 2,000, and a stage able to accommodate a 100-piece orchestra. It quickly became the city’s cultural focus. Steinway Halls (Steinway-Haus), and the smaller “Steinway Piano Galleries” sprung up in cities across the world, including: London (1875), Berlin (1909), Hamburg (1953), Munich (1999), Vienna, Chicago (1897-1970); also in several US cities, and more recently Seoul. This month Steinway opened their first new European retail, technical, and concert space outside of Germany for 142 years. 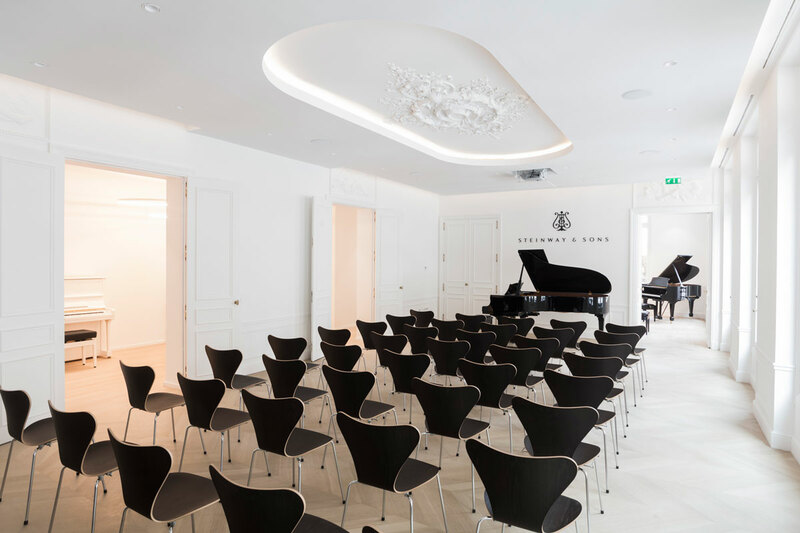 Located in Paris’ culturally rich 7th Arrondissement (borough), the truly elegant premises total 700 square metres, and feature a 50-seat concert room, two rehearsal studios and a large retail showroom. The studios can house up to 45 pianos, and a team of Steinway technicians also reside on-site. Although smaller, and only occupying two floors of the building, the exterior of the new French studios does have a striking similarity to that of the original Steinway Hall. Unfortunately, at the time of writing I do not have a image showing the finished frontage of the Paris site. However, this likeness is not that surprising. The Paris building was built by Georges-Eugène Haussmann, around 1860. According to the New York Herald, John Kellum, designer of the New York Steinway Hall, was persuaded (by said publication) to adopt Haussmann’s architectural aesthetics. 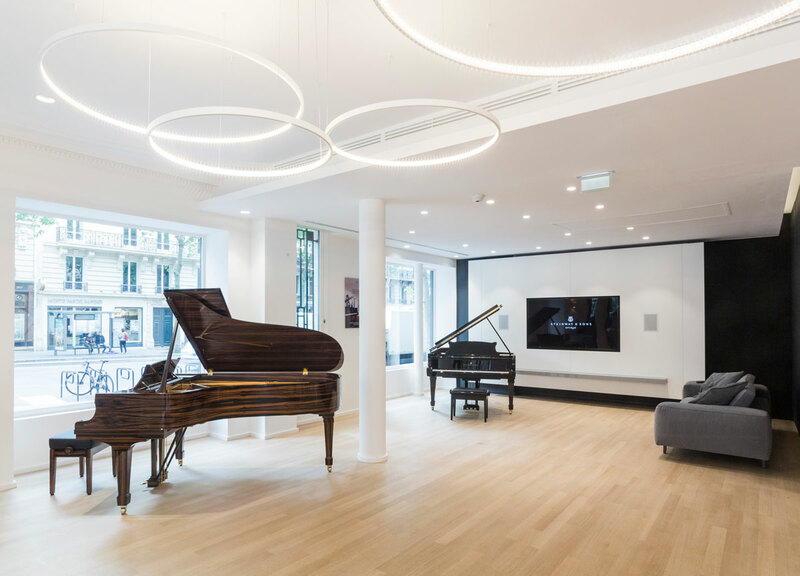 Steinway & Sons, Paris can be found at 230, Boulevard Saint Germain, 75007 Paris, France. Note: The title of this piece doesn’t refer to the actual “Copycat Building“, which is located in Baltimore, Maryland.